NORTON, MA. – June 30, 2015 – Measurement Computing Corporation announces the release of the USB-DIO32HS high-speed digital I/O device. 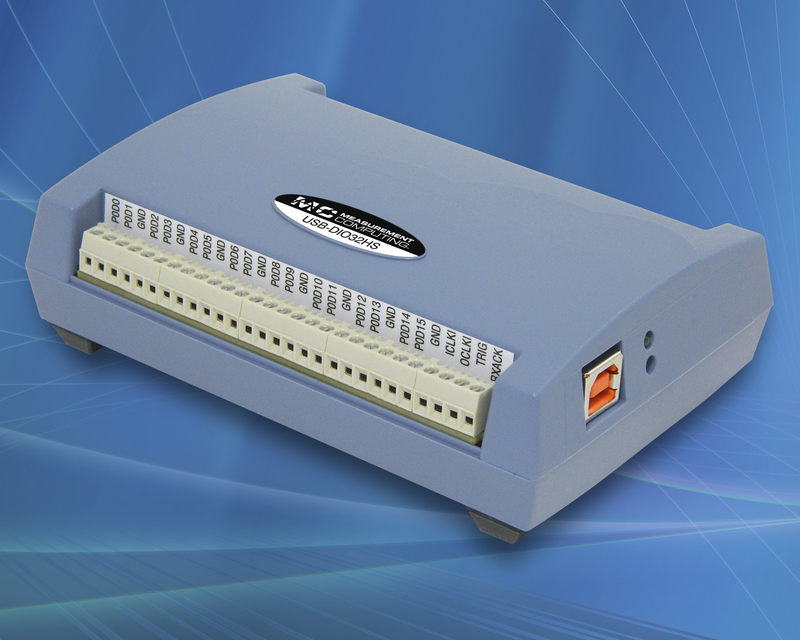 The USB-DIO32HS features 32 high-speed digital I/O channels that are 50 times faster than previous devices from Measurement Computing Corporation. Microsoft Windows software options for the USB-DIO32HS includes TracerDAQ® to display and log data, along with comprehensive support for C®, C++®, C#®, Visual Basic®, and Visual Basic .NET™. Support is also included for DASYLab® and NI LabVIEW™. Support for Android™ devices allows users to develop DAQ applications for tablets and smartphones. Sample applications are available for free download on Google Play™.